Haley Husted, Harrold, SD is the winner of the 2019 Lloyd W. Rypkema Memorial Horse Award. RAPID CITY S.D. 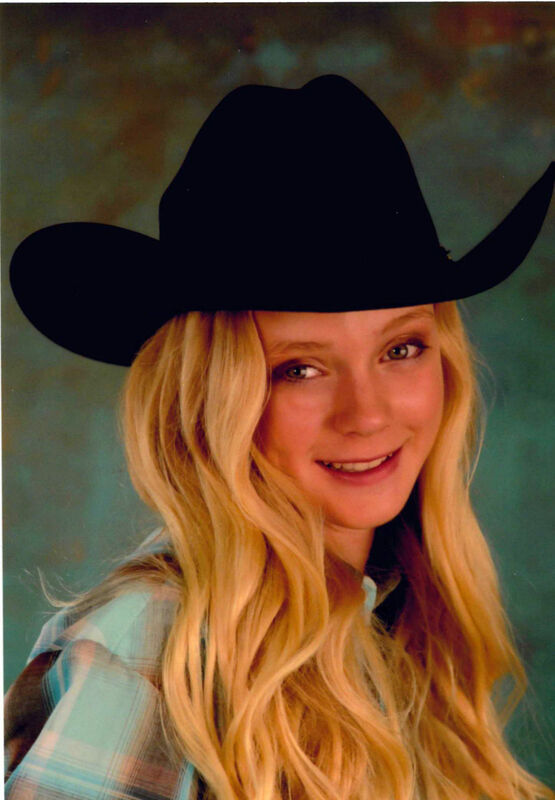 – A youngster from the Harrold, SD area won the Lloyd W. Rypkema Memorial Quarter Horse Award with her winning essay. Applications are taken every year from kids ages 12 through 18 and living in the Dakota’s, Montana, Wyoming or Nebraska that makes them eligible to win a registered colt from the Rypkema Quarter Horse breeding program. Haley Husted is 15 years old and lives on a ranch outside of Harrold, SD. Her parents are Chad Husted and Vickie Tibbs-Husted. A sophomore at Highmore-Harrold School, she competes in volleyball, basketball, theatre, FFA, FCCLA, High School rodeo, 4-H rodeo, and the FFA Vet Science team. She has served as the Senior All-State Parliamentary Procedure President and is currently the president of the Rodeo Team and has held several different positions within her 4-H Club “Top Notch”. This year’s award colt is eligible for AQHA Ranch Heritage Breeders Challenge.